When it comes to home design, one of the places you can have the most fun is in your garden. In a manner of speaking, it’s like the Wild West out there! If you can come up with a unique way to incorporate am outlandish element into the outdoor space, then you can do it. It’s not like designing for a living room or kitchen. In the garden, almost anything goes… It’s full of wild plants, after all! This is why many homeowners reach for recycled items when they’re trying to decorate their gardens. 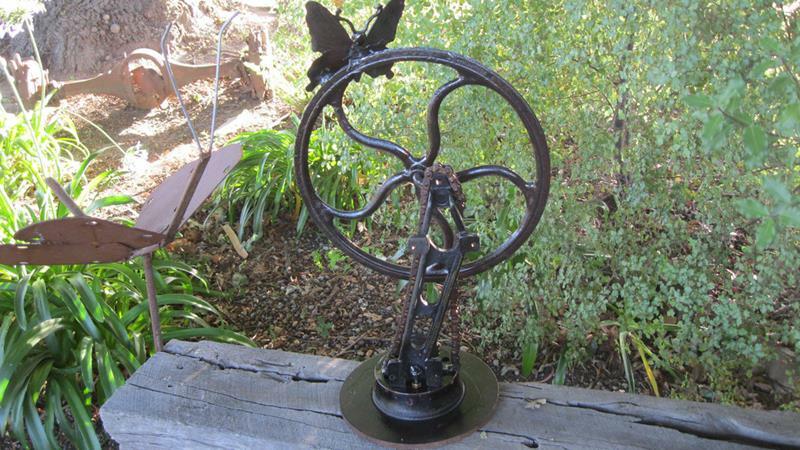 As it turns out, a lot of disused items you might have in the basement or out in the garage can easily and simply be turned into beautiful garden accents. 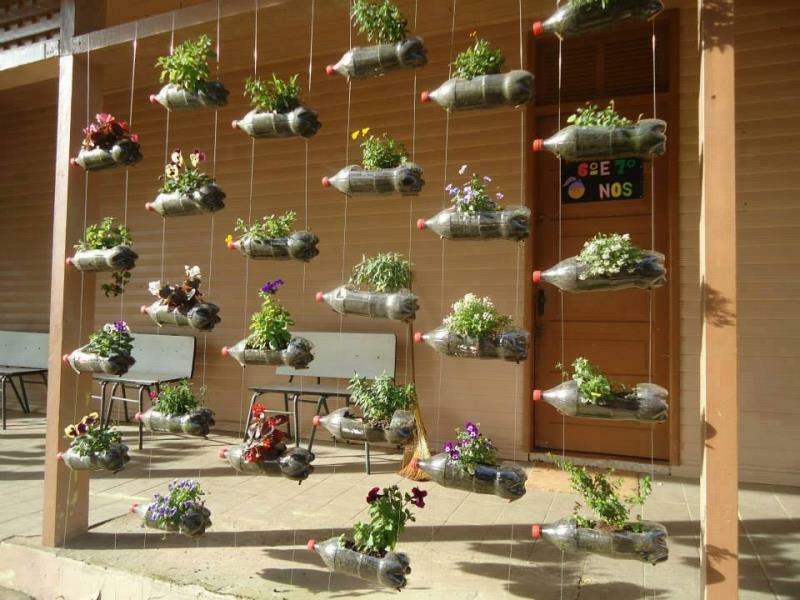 Did you know that soda bottles can become a wonderful material for creating a hanging garden? Did you know that old dressers, desks and drawers can make some of the most charming planters? 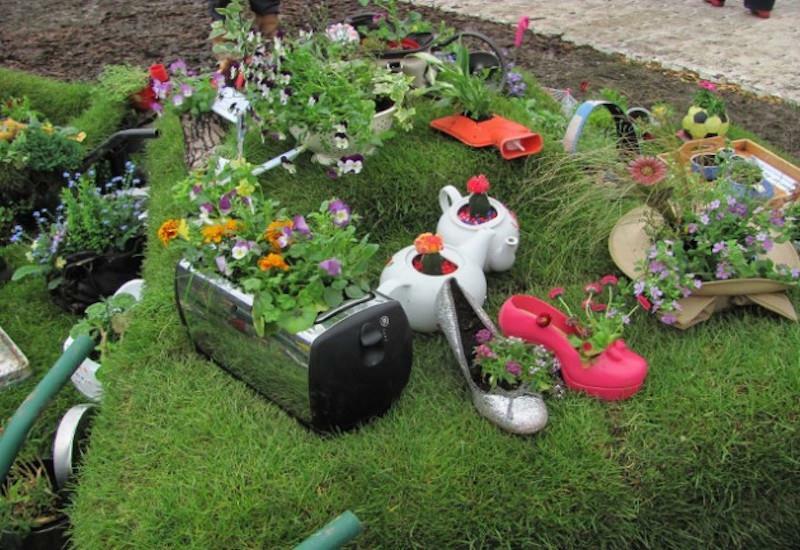 In the list of examples below, you’re going to see some of the most creative uses for recycled items in a garden. By the time you’ve made it to the end of the list, we’re sure that you’ll have all the inspiration you need to beautify your garden with recycled materials and objects! Let’s take a look. Believe it or not, you can actually use a bunch of old coke (and other soda) bottles to create an amazing hanging garden! 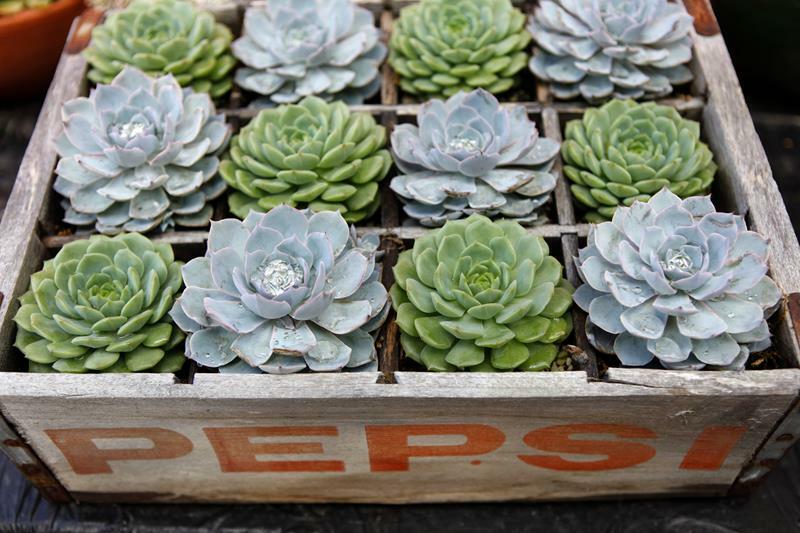 A trip to the antique store could yield some old wooden boxes, which make perfect planters for the garden. While you’re at the antique store, keep an eye out for unique pieces like this, which can make excellent impromptu garden sculptures!